Learn skills in least three sports. May include soccer, softball and baseball, flag football, basketball or volleyball. Directed by a professional soccer trainer and physical education teacher. 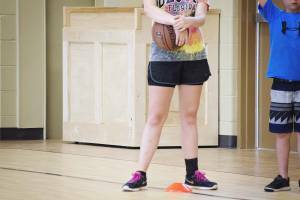 Campers receive multi-sport training in a Christian setting, plus many other fun activities. Experienced coaches work with campers according to their abilities.